Since 1988, The Olson Company has been providing creative housing solutions to California cities. Olson is recognized as the leader in creating attainable, thoughtfully designed new homes priced within reach of California homebuyers. For The Olson Company, housing is more than a business; it’s our mission. The Company was founded in 1988 to assist cities in solving the critical shortage of affordable housing in urban areas. Today, an increasing number of professionals and families are returning to live in the city, taking advantage of the urban lifestyle, convenience and proximity to jobs and transportation. Recognized as a leader in providing affordable urban housing throughout California, The Olson Company is dedicated to developing outstanding and long-lasting partnerships with the cities with which we work. Our approach to problem solving continues to be successful because we listen to the suggestions of city planners and officials and ultimately recognize that we are all committed to the same goal — serving the local community. We are passionate about our pursuit of providing transit-oriented housing, mixed-use/live-work, artists lofts, brownstones, and neighborhood small lot detached developments. Our commitment is to improve the local neighborhood experience by capturing the best that exists in each neighborhood socially and architecturally. 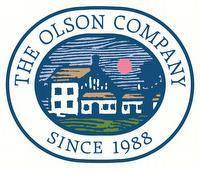 Your inquiry has been sent to The Olson Company. Get homebuying answers from The Olson Company.